German scientists say that the disappearance of these two cultures are directly related to variations in weather. The winds caused major droughts that affected crops and famine. Paris – The decline of the Mayan civilization in Central America and the Tang dynasty, one of the most important in Chinese history, could be due to changes in climate in the Asian region between the IX and VII centuries of our era according to a study published in the journal Nature. The drought caused by abrupt changes in rainfall patterns, with high declines in crop yields, could explain the tensions that led to the downfall of the two civilizations. The magnetic properties and the content of titanium in some studies have provided important indications about the strength of the monsoons in East Asia. These periodic winds blowing toward the sea in winter and summer into the soil. These studies found that over the past 16,000 years there have been three periods in which the winter monsoon was strong and the climate in China,was dry,mainly at the time of the decline of the Thirteenth dynasty of China, the Tang, who reigned between the years 618 and 907. After three centuries of glory, this dynasty famous for its art and its trade with India and the Middle East, became extinct in the midst of a general revolt. The scientists believe r that the variations in the tropical rain belt could have been global and explain, at least in part, the end of the classic Mayan era (250-900 years) in the current Mexico and Guatemala. 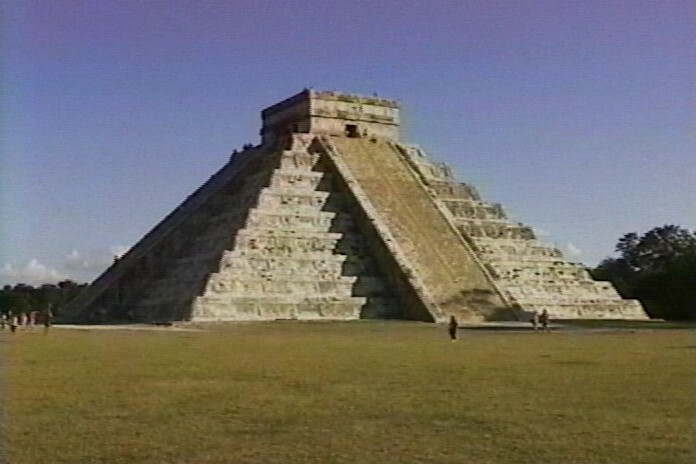 The great Mayan civilization, known for its city-states, its hieroglyphic writing, its decorative arts, its solar calendar of 365 days and their pyramids, fell sharply when he was in full swing. Scientists do not yet have agreed to explain the reason for this.